You can also perform a more selective search for churches in the Kirmond le Mire area or see them printed on a map. The church was renovated in 1899. It is a fairly modern building of stone. The church is small and seats only 70. The Anglican parish register dates from 1751 for baptisms and burials and 1756 for marriages. About 60 burials for the parish are listed in the National Burial Index covering 1799-1955. We have just the beginning of a Parish Register Extract in a pop-up text file. Your additions could make this much more useful to others. Kirmond le Mire is a parish and a small village 6 miles east of Market Rasen, 12 miles north-west of Louth and about 13 miles south of Grimsby. The parish is in the Wold Hills. The parish covers over 1,000 acres and includes Bully Hill, one of the tallest heights in the Wolds. Binbrook parish lies to the east and Tealby parish to the west. Ask for a calculation of the distance from Kirmond le Mire to another place. You can see the administrative areas in which Kirmond le Mire has been placed at times in the past. Select one to see a link to a map of that particular area. The Manor House was occupied by Carles Rowell FIELDSEND in 1871. This place was an ancient parish in Lincoln county and became a modern Civil Parish when those were established.. 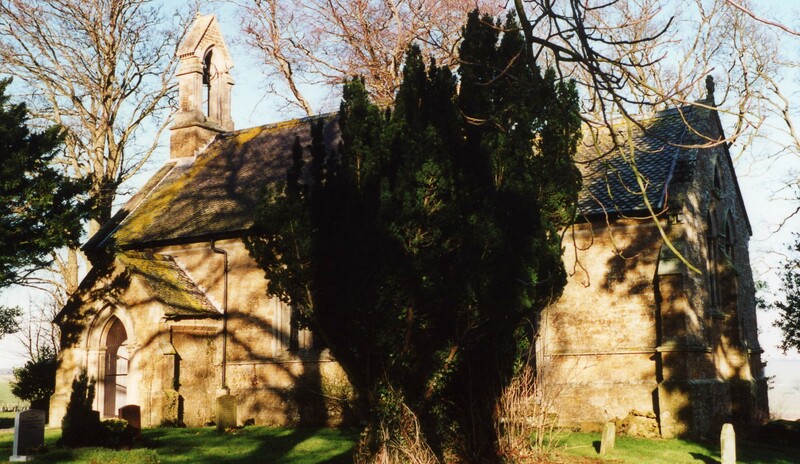 The parish was in the ancient Wraggoe Wapentake in the West Lindsey district in the parts of Lindsey. Kelly's 1913 Directory of Lincolnshire places the parish, perhaps incorrectly, in the East Lindsey district of the county. Bastardy cases would be heard on the 1st Thursday each month at the Wragby petty session hearings. The Common Lands were enclosed here in 1839. A Parochial School was built here in 1871 to hold 30 children.